Not just another nutrition book, certified Nutritionist Kay Spears, writes about seven steps to a balanced life. They include: nutrition, supplementation, sleep, exercise, water, forgiveness, and an attitude of gratitude. Sharing from her own personal experience, Kay writes about her personal journey to inner peace and resolution. She believes that by sharing her experiences that she can save the reader time, money, and emotional stress in their life. Each chapter includes part of Kay's personal story as well as the nutrition and health aspect. Kay also encourages readers to forgive themselves for wrong-doings and how this can bring freedom and peace in their lives. 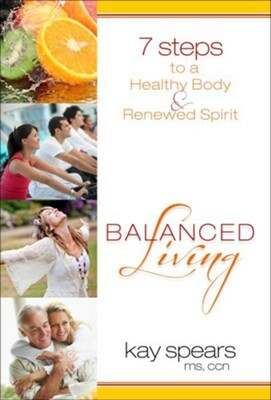 I'm the author/artist and I want to review Balanced Living: 7 Steps to a Healthy Body & Renewed Spirit - eBook.